Alternative Ink: What did Kurt Cobain's Single Tattoo Mean? Alternative Ink: What did Kurt Cobain’s Single Tattoo Mean? 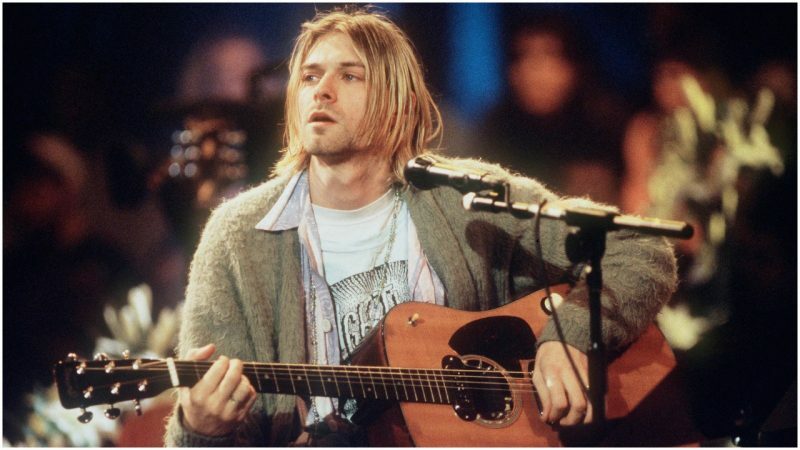 Next April marks 25 years since musician, singer and grunge icon Kurt Cobain committed suicide. He was found at home by an electrician, having shot himself in the head. 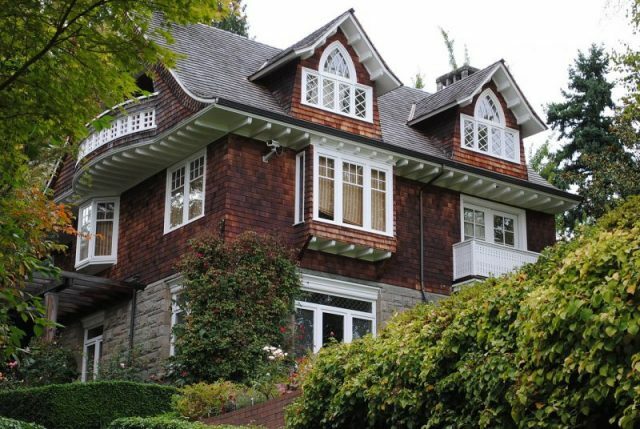 The Nirvana frontman and figure of media fascination was just 27. His passing brought a tragic end to a career that had made an indelible mark on the world in a relatively short time. He passed away in the state of his birth, Washington, and in the city that introduced the world to grunge music, Seattle. Cobain was troubled and didn’t enjoy the fame and attention his rise up the charts brought him. That attention continued unabated after his death. In 2005 filmmaker Gus Van Sant made Last Days, a movie inspired by Cobain’s plight. Images from his home on the day of the incident were being released as recently as 2016. Another talking point has been the distinctive tattoo Cobain sported on his left forearm, the only tattoo Cobain had. According to the Feel Numb website, he applied it on himself in 1991. Depicting the letter ‘K’ within a shield, it’s meaning has been speculated on as everything from an initial to a superhero type emblem. The truth is a little unexpected. It was a mild form of advertising! 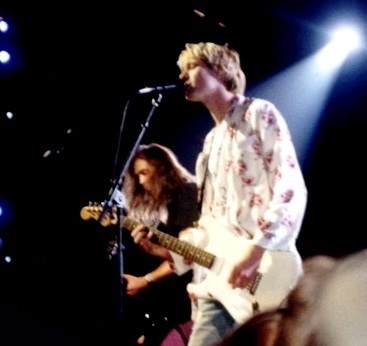 While the singer abhorred corporate music he did have time for K Records, an alternative record label also based in Washington that Cobain felt stuck to the anti-establishment attitude of the early grunge scene. Founded by musician Calvin Johnson of Beat Happening in 1982, it prided itself on the “DIY” (Do It Yourself) approach and a reliance on the cassette tape format. So the ‘K’ represents a pioneering music maker. As for what the K itself stands for, that’s another question entirely. ‘K’nowledge is one answer, though Johnson likes keeping things mysterious. In a 2015 interview for Clash, he commented on the connection between what K Records were trying to do then and the music scene now. “When K started, actually hearing the music… that was the challenge. And in the modern world, hearing music is not a challenge. A view Cobain would no doubt take heart from. Through K, he played guitar on the track Bikini Twilight alongside The Go Team. The label’s logo also gets a mention during Lounge Act on Nevermind, the album that launched Nirvana on an unsuspecting public. 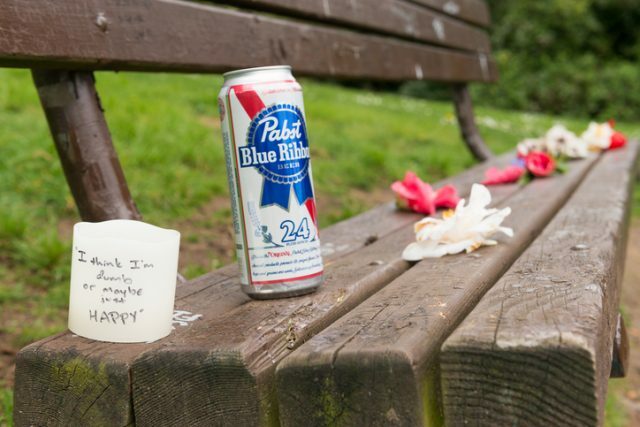 Pabst Blue Ribbon beer and flowers left on Kurts Bench by fans 22 years after Kurt Cobain committed suicide in the home just next door to Viretta park. The bench in the Madrona neighborhood has become a place visited by tourists from around the world, they leave items Kurt would have liked and scribble personal messages to the music icon. 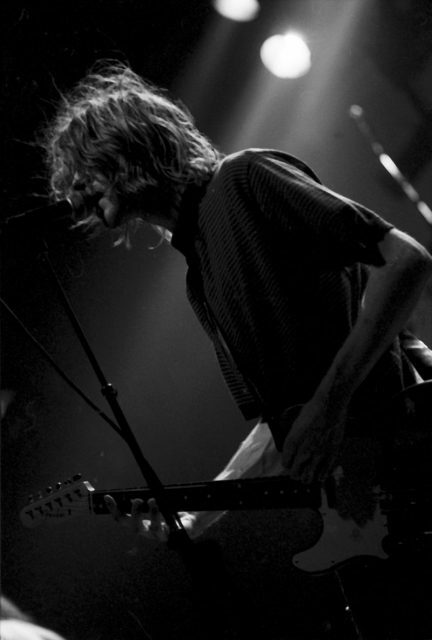 Kurt was known to sit on the bench and play his guitar. When asked about the tattoo, his response was interesting and inspiring. As reported by Inked Magazine in 2015 he said he did it “to try and remind me to stay a child.” The K symbol may have reassured him during his dark times, though sadly not enough to pull him back from the brink. 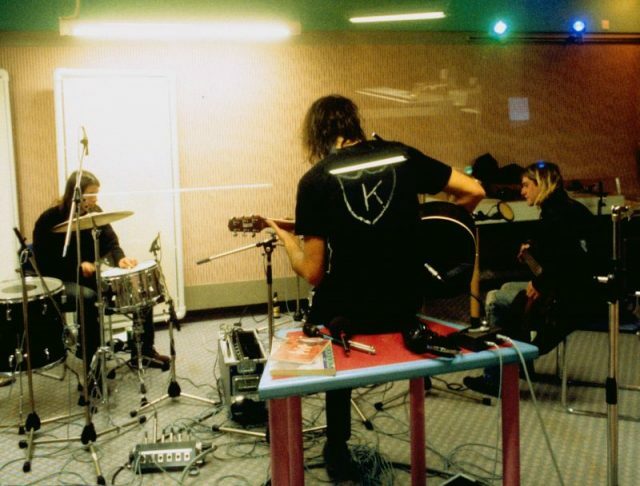 Cobain displayed the K Records shield on his guitar, something that was echoed by former Nirvana bandmate and Foo Fighters member Dave Grohl in 2011. 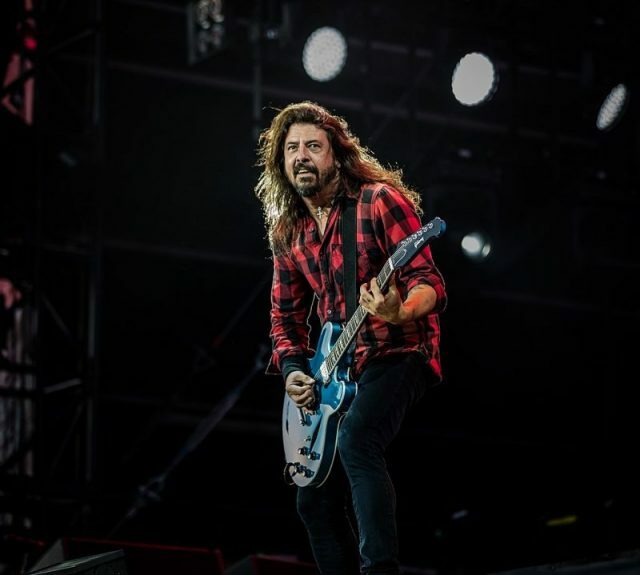 As reflected on by Feel Numb in 2013, a live streamed performance of the album Wasting Light showed the letter K in tape on Grohl’s own instrument. This wasn’t to reference a record label but his much-missed friend. The date of the performance was April 5th, 17 years since Cobain’s suicide. The article goes on to show his wife Courtney Love’s similar tattoo, which she put on her stomach. Hopefully, in exploring the meaning of Kurt Cobain’s tattoo, musicians can discover K Records, and embrace the spirit that was clearly so important to the influential songwriter.